The 2016 Fubon LPGA Taiwan Championship golf tournament for women players on the LPGA Tour is taking place this week from October 6-9, 2016, at the Miramar Golf Country Club located in Taipei, Taiwan. Here is a list of the prize money up for grabs for the women golfers at the 2016 Fubon LPGA Taiwan Championship. The Fubon LPGA Taiwan Championship dates back to 2011. Suzann Pettersen (2012, 2013) holds the record for most wins with two. 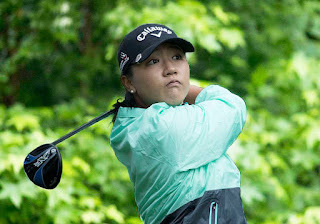 The other winners are Yani Tseng (2001), Inbee Park (2014) and Lydia Ko (2015). Total prize money up for grabs at the 2016 Fubon LPGA Taiwan Championship is $2 million. That is the same amount of prize money that was up for grabs in this tournament in 2014 the last time it was played. There is no cut this week as only 80 women players will tee it up this week in the 2016 Fubon LPGA Taiwan Championship. The winner of the 2016 Fubon LPGA Taiwan Championship will earn or win a paycheck of $300,000. That is the same amount of prize money Lydia Ko earned when she won this women's golf tournament last year. Second place is worth about $183,000 at the 2016 Fubon LPGA Taiwan Championship. Third place at the 2016 Fubon LPGA Taiwan Championship is worth about $133,000. Fourth place is worth $102,205 at the 2016 Fubon LPGA Taiwan Championship golf tournament on the LPGA Tour. That is how much prize money Charley Hull earned when she finished alone in this tournament last year.